I just learned a few hours ago that super producer, songwriter, singer Kashif passed away Sunday. (Asking me how is gonna result in a blank stare, a succession of blinks, and a none of your biz). In a nutshell, my heart is shattered into a thousand itty bitty pieces. I've always heard that you have to maintain a business relationship/code of ethics bs when interviewing folks--so I tried not to mix professional with personal but dang it, sometimes folks slip thru the cracks and you end up with a beautiful friendship. I reached out to Kashif in 2012 on Facebook, and I wasn't expecting a response, but he sent me his email address and we set up the interview. What started out as a 10-15 minute interview turned into nearly an hour and he made me promise to reach out if I ever came to Los Angeles. Well, it just so happened I ended up in Los Angeles the following month just a few days after Whitney Houston had passed away and was totally expecting him to be like NEW PHONE WHO DIS? but instead, he invited me to come over and now listen y'all I thought I was going over to his studio or office but nawl --I navigate my way over and am thinking uhhhh this looks like a place where he probably lives. 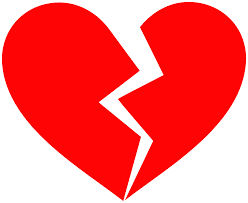 He met me down in the lobby and we chatted and then I suppose I passed his crazy test lol and he invited me to his condo --now I probably should have said no this lobby is fine, but I trusted him and hell he didn't know me either. Sitting in his home studio, watching him light up as he was explaining his entire setup and showing me some of his work..I was blown away and pissed that my phone had broken so I had no way to really take pics --the only pic I got was from his balcony overlooking the water cuz that raglass phone didn't wanna cooperate. Anyhoo.. I asked him if he was on Twitter--and it turned into a social media lesson, I showed him how to tweet and I believe his first tweet was about Whitney Houston and his work with her (if you aren't aware--GOOGLE please)..we ended up chatting on the balcony for a while about everything--from music to life in North Carolina.. he gave me a copy of his book and said this is the beginning of a new friendship. In my head "yeah right." Over the past few years, Kashif became one of my really good friends. You know you are a special friend if I don't go off on you or ignore your calls when calling me at all times of the night. When Kashif moved to Hawaii shortly after meeting--he called me to tell me he was moving and invited me to come visit, but I never went. I cannot fly over a bunch of water cuz my nerves are bad and then I ended up with the nerve damage drama so I couldn't hardly walk anyway, so he'd send me pictures and tell me about his life there, the friends he was making, his spiritual connections, healthy lifestyle and even riding his bike everywhere. He knew the time difference was like 6 hours but do you think he gave a darn about some time difference? If he was up, he was gonna call, I think for a few weeks straight he would call me at 7am and I would answer every single time. We'd talk about everything, from my grieving over my grandma, to him encouraging me to keep writing.I was always baffled like how did I end up friends with THE KASHIF? 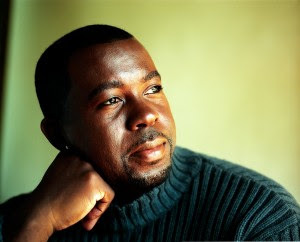 I loved learning about Kashif the man, the friend--the person behind the hits. I can rattle off his resume sure, but to actually know him--wow. Kashif would call me in the middle of my work day I would say "I'm at work Kashif," and he would keep on talking like "how is my Meika doing?" To not be able to hear him say those words again breaks my heart. To not get anymore phone calls at random times of the morning, day, night..and don't let me NOT answer..he would call again and again and a text like u see me calling lol. Our conversations on dating would often have me HOLLERING.. my favorite was when he told me about a blind date someone had set him up on and all I remember from that convo is he said he told her "Do you know who I am?" but the way he said it had me snort-giggling hysterically. I know I'm all over the place with this blog. Anyway, I was so excited when Kashif told me about his History of R&B Music documentary--he asked if I would help him and of course the answer was always YES especially for a topic that I love and he's my friend--except when he wanted to hire me and I was like bruh I don't wanna bust up our friendship over us butting heads-- when he asked if I would write something about his singing lessons he was offering..I did it. I asked him for help finding a writing job..he did it. That's what friends do. When he told me he was going to release another album and tour again, I was so excited like YESSSSSSSS I can finally see him perform live and he will be putting out new music?! I'm so there.. he did a concert in June (chile me trying to talk him thru how to make a facebook event and invite folks was hysterical--but we got thru it and he did it so if you got an invite..YOU WELCOME)--unfortunately in June, due to scheduling on my end I wasn't able to make that show. I sent him a text asking how it went and then later asked if he was going to bring the show to the east coast and he said he was working on it. We probably chatted a couple more times on the phone since then. Never in my wildest dreams would I have ever imagined that would be the last time I heard his voice say "my Meika." One thing I do know is I'm glad he left us his receipts of music--his legacy that will live on forever. I do hope that his documentary and his new album will be released at some point so that this generation can also understand just how important Kashif was to the music industry as a whole. I had hoped to get out to LA to see him this year and finally get some pics together--I thought we had all the time in the world, but I was wrong. I am so glad that I got to know Kashif the man. I truly loved that dude. I have to figure out how to stop looking at the phone waiting on his calls and texts. I hate goodbyes so I'll just say I'll see ya later. I'm so sorry for your loss Soror. We knew him as someone who contributed greatly to R&B, but you lost a friend. Condolences. I am sorry for your loss. It is never easy losing a friend. It's wonderful that you have all these great memories and stories hold on to. What a great tribute. I'm so sorry for your loss, Meik. He was such a nice guy and a brilliant brilliant musician. Thank you guys :) He was an amazing person.